There are many things that I love about living in Louisiana. 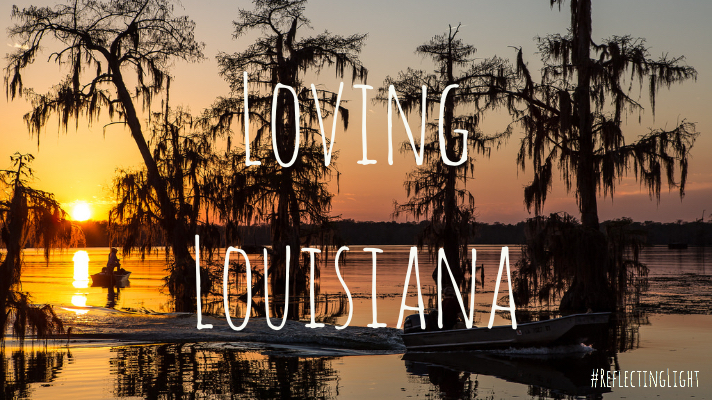 I love the beauty of the bayou, the friendliness of the people, and the ice-cold sweet tea. I love that we all understand that “y’all” is a real word and that when we say, “Bless her heart,” it’s really a good thing. However, I could do without the sweltering heat of the summer. When the forecast for every day is in the 90’s with high humidity it becomes a challenge for even the best of dry shampoos. I can feel myself getting lethargic and a little moody as the days go long. However, the thing that keeps me loving Louisiana even through the heat is that I know that this season will indeed pass. The cooler weather of fall will start to blow in and all the stickiness I am enduring right now will be a distant memory…at least for another few seasons. Sometimes I find myself in less than desirable season spiritually as well, where my prayer life is dry and my time in God’s Word is unfocused. I’m going through the motions, but I’m not really present. Yet if I remain in His Word, I usually find that this undesirable season will soon pass. And before long I can feel that cool breeze starting to blow in, reminding me once again of my love for Him. That is such a great analogy for something we all go through at times. Thank you!